In October 2011 a new set of regulations introduced by the previous Labour government are set to change the rights of temporary workers. The regulations, known as the Agency Workers Regulations, aim to increase the rights of certain classes of agency worker – in short, giving them the rights to the same pay and terms & conditions as a permanent employee if they are in post for more than 12 weeks. Since most contractors bill through an agency – an inevitable consequence of preferred supplier lists and the like – they are, in some senses, “agency workers”. The move has led to fears that companies will be discouraged from hiring contractors for fear that they will be forced to treat them the same as their permanent employees – potentially leading to another downturn in the market and further depression in rates. But does a contractor count as an agency worker for the purposes of the legislation? Much is yet to be determined, as the government has yet to publish its detailed guidance on exactly who will be affected – but according to one expert, it is likely to depend on how the contractor is engaged with their client – much like IR35. Indeed, by forcing companies to make a clear distinction between a contractor operating as his own business and a temporary employee working through an agency, the government may have the perverse effect of encouraging companies to ensure their IT contractors are clearly operating outside of IR35. Contractors operating through umbrellas, however, may be in a rather different position. The Freelance & Contractor Services association fears the move is likely to discourage use of contractors. 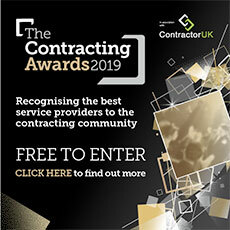 “End clients may look to avoid using IT contractors for periods of longer than 12 weeks although that is less likely at the professional end of the market,” spokesman Charlie Napier told CUK. “It remains to be seen what effect industry understanding of - or misunderstanding of - the regulations will have on the willingness of clients to engage temporary staff, or on the willingness of agencies to deal with umbrellas (as opposed to 'own company' contractors),” says Sinclair. It is also worth noting that the Conservatives indicated before the election that they would review the regulations. Then shadow business minister Jonathan Djangoly told an audience of recruitment consultants in February that the regulations were “counter-intuitive”. The results of any review, however, remain to be seen.